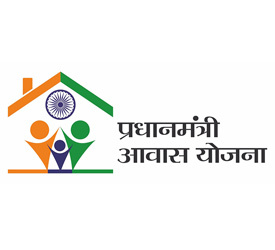 Pradhan Mantri Awas Yojana - Saraswat Cooperative Bank Ltd. Taking forward our Prime Minister’s mission of ‘Housing for All by 2022’, we too have joined hands to make this a reality. Initiated by the Ministry of Housing and Urban Poverty Alleviation (MoHUPA) in 2015, this scheme addresses the growing need for proper housing facilities. For purchase, construction, extension or improvement of a house, Saraswat Bank offers ‘Pradhan Mantri Awas Yojana-Credit Linked Subsidy Scheme’ to Economically Weaker Section (EWS) and Low Income Group (LIG) categories. In case of new purchases, the house constructed or acquired should be in the name of the female head of the household or in the joint names of male head of the household and his wife. Only in cases, where there is no adult female member of the family, the house can be in the name of a male member of the household.